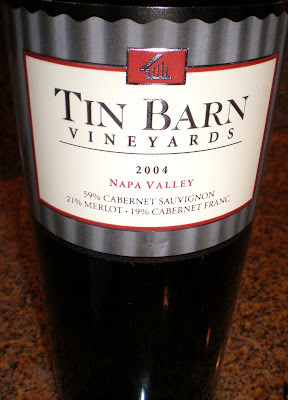 Tin Barn Vineyards is a collaborative effort of winemaker Michael Lancaster and his four partners. Their dream came together in the “Tin Barn”. It is a classic Bordeaux blend or Meritage, with an outstanding combination of flavors and textures. This wine has a deep, dark red color with hints of luscious clove, spice and deep berry notes. The ultra smooth tannic structure is a result of the Merlot and Cabernet Franc blend with finishes of toasty oak.